The purpose of the Construction Act, is to provide protection for a contractor’s right to payment for services and materials supplied in the construction industry. The most commonly utilized protection takes the form of the right to a lien for the value of services or materials supplied to the improvement of a property. Anyone who supplies material or services to improve a property for an owner, contractor or subcontractor, will usually have a right to register a lien. 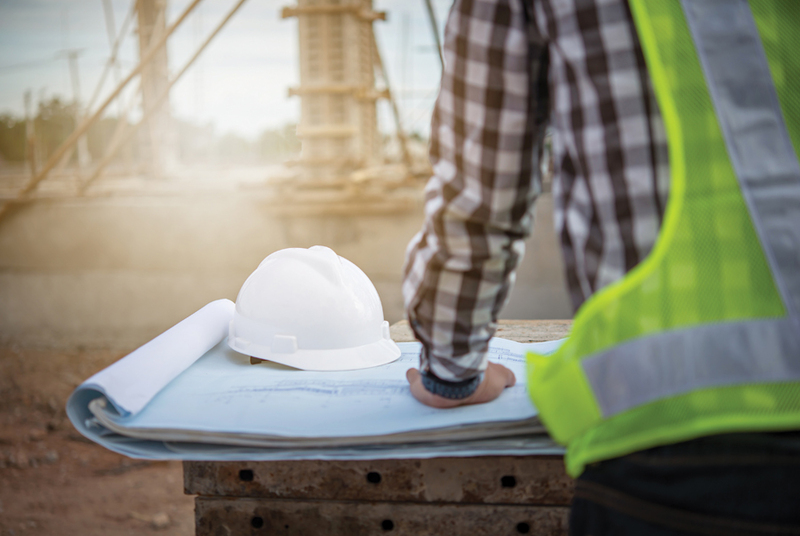 Lien claimants include suppliers of material, general contractors, subcontractors, trades people, engineers, project managers, and architects to name a few. A contract directly between the supplier of material and/or services and the landowner is not necessarily required. This means that even if the contract for the improvement is between a landowner and general contractor, as is typically the case, the Construction Act provides the right of a lien to those who haven’t directly contracted with the landowner, such as subcontractors. The right to a lien arises when the contractor or subcontractor first supplies services or materials for the improvement of the property. begins with the supplier/contractor preserving its rights under the Construction Act. The following applies in respect to the supply of services or materials pursuant to a contract entered into or in respect to a lease dated prior to July 1, 2018. Basically, the supplier/contractor has 45 days from the last day they supplied material or services, to preserve this right by registering a notice of the lien on the title of the property. If there has been certification of substantial performance, the deadline to register a construction lien of a contractor is 45 days from the earlier of the date of publication of the certificate and the date of the last supply; and, in respect to the lien of a subcontractor, the earlier of: publication of certification of substantial performance; the date of last supply of services/materials and certification that the subcontract is complete (as applicable). If the lien is properly preserved, the lien claimant then has 45 days from the last day on which the lien could have been preserved, to perfect the lien by commencing a legal action in the Superior Court and registering a certificate of action on title to the land. Once the lien is preserved and perfected, full security is established. This protection can be enhanced beyond preservation and perfection by delivering written notice of the lien to a mortgagee, purchaser, owner or any person who owes a payment in respect of the improvement. If a supplier’s lien rights are not preserved and perfected in time, the supplier may still be able to sue for breach of trust, breach of contract and equitable remedies (based on the value of improvement to the real estate). The Construction Act imposes trust obligations upon payers at all tiers of the construction project for the benefit of suppliers of services and/or materials. The purpose of this statutory trust is to require that certain funds be used for the payment of people who supply materials and services to the improvement of a property. The trust is designed to protect suppliers from insolvent or unethical owners and provide security to contractors, subcontractors and suppliers for work performed and/or materials supplied. Furthermore, the Construction Act requires holdbacks, another form of security for suppliers of services and materials. Owners, contractors and subcontractors are obliged to withhold 10% of the price of services and materials for which they owe payment, for the period of time within which all liens that may be claimed have expired, are satisfied or are discharged. The Construction Act was amended, with major changes coming into effect on July 1st, 2018 and further changes to come on October 1st, 2019. Some of the more significant amendments address the issue of late payment in the construction industry and the prolonged dispute resolution process. The ultimate goals are to regulate how payments are made so that suppliers are paid in a timely fashion and, for an expedited dispute resolution process. Changes which came into force on July 1st, 2018 affect the supply of services or materials pursuant to a contract entered into or in respect to a lease dated July 1, 2018 or later. Most notably these amendments relate to the time restrictions for preserving and perfecting liens. Instead of 45 days, suppliers of services and/or materials have 60 days to preserve their liens. Instead of 45 days from the last day on which the lien could be preserved, suppliers have 90 days from then to perfect a lien. Instead of cash funds, holdbacks may also be maintained in alternative forms, including letters of credit and certain types of bonds. Additionally, with respect to trust obligations, contractors must deposit trust funds into a bank account in the trustee’s name and, the trustee must maintain written records including amounts received into and paid out of the funds and any transfers for the purposes of the trust. Furthermore, if the action is within the monetary jurisdiction of the Small Claims Court, (claims up to $25,000), the lien action will be dealt with in the Small Claims Court. Other amendments will come into force on October 1st, 2019. Some of the more significant changes will include prompt payment requirements and an adjudication option to resolve disputes. As for the prompt payment requirements, an owner must pay a contractor within 28 days of receiving an invoice from the contractor. The contractor then must pay his subcontractors within 7 days after receiving payment from the owner and subcontractors must pay their subcontractors within 7 days of being paid and so on down the construction pyramid. Should an owner wish to dispute an invoice, he must deliver a notice of non-payment within 14 days of receiving the invoice to the contractor specifying the amount the owner refuses to pay and the reasons for nonpayment. The contractor must then deliver notice of the owner’s non-payment to his subcontractors. If the contractor does not provide the required notice to subcontractors, the contractor would still be required to pay each subcontractor the amount payable to them, even if the owner fails to pay the contractor (the same requirement applies between subcontractors). Parties to construction contracts will have the right to refer disputes to an adjudication process. The goal of the mandatory adjudication process is to speed up the resolution of disputes. Matters relating to issues such as: the value of services or materials, payments pursuant to contracts, notice of non-payment, payments of holdbacks, etc., may be submitted to adjudication. The adjudication process begins with the claimant notifying the other party with a form of notice specifying the nature of the dispute, the remedy sought, and the proposed adjudicator. Decisions of adjudicators will be binding unless appealed to the courts or arbitration. The Construction Act provides important financial protection for suppliers of materials and services to construction projects. Security of payment for their work is available, even in the absence of a contract directly with the property owner. Changes in the time frames to preserve and perfect liens will give more leeway for contractors to secure this protection. Furthermore, the new adjudication regime permitting discretion to an appointed adjudicator to resolve matters will allow for flexibility and expediency in the resolution process. With these amendments, it is clear that the rights of the suppliers in the construction industry are evolving to their benefit. Please note these materials have been prepared for general information purposes only and do not constitute legal advice. Readers are advised to seek legal advice by contacting Frank Feldman* regarding any specific legal issues. This entry was tagged Construction Act Amendments, Construction Act changes, Construction Lien Process, Contracor Builder Subcontractor, Ontario Construction Act Amendments. Bookmark the permalink.